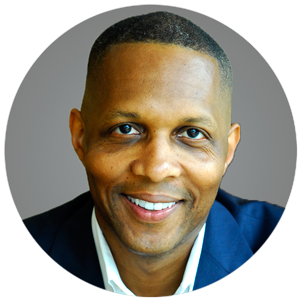 Derrick Moore is widely recognized in business and commercial real estate circles as the industry’s leading expert on retail in Los Angeles. Derrick’s success throughout his career has been centered around two core business philosophies: Building long-term, trust-based relationships with his clients, and being an active participant in community building in Los Angeles. As one of the city’s most fervent ambassadors, Derrick maintains close relationships with officials of the Downtown Center Business Improvement District (DCBID) and Central City Association (CCA) of Los Angeles, and has demonstrated a personal commitment, as well as a professional one, to the Downtown Renaissance, and emerging markets. Derrick’s experience, deep client relationships and local market expertise creates a unique value proposition for both landlords and tenants in today’s challenging retail environment. As part of the largest real estate services firm in the world, Derrick and his Team stand apart from boutique providers in their ability to deliver strategic analysis and recommendations on critical issues facing retailers and restaurants today. In his 13-year career, Derrick has completed over 2.3M SF of retail lease transactions in the Los Angeles region, representing a total consideration of approximately $326M. He has partnered with numerous national and local tenants to establish and/or expand their presence, including T Mobile, Wells Fargo, Subway, FedEx, Famima, Bottle Rock, American Apparel, Johnny Rockets and Robeks. Among his most significant transactions in 2009 and 2010 were the signing of two (2) Walgreens in the CBD, a 16,000 SF space in the CBD that was vacant for over 10 years and a site in the Theatre District of Broadway Avenue. He is also credited with numerous high profile restaurant transactions in DTLA including Bottega Louie, Rivera, and the Lazy Ox Canteen.